We are introducing a new medium roast coffee in place of our Costa Rican La Pastora. 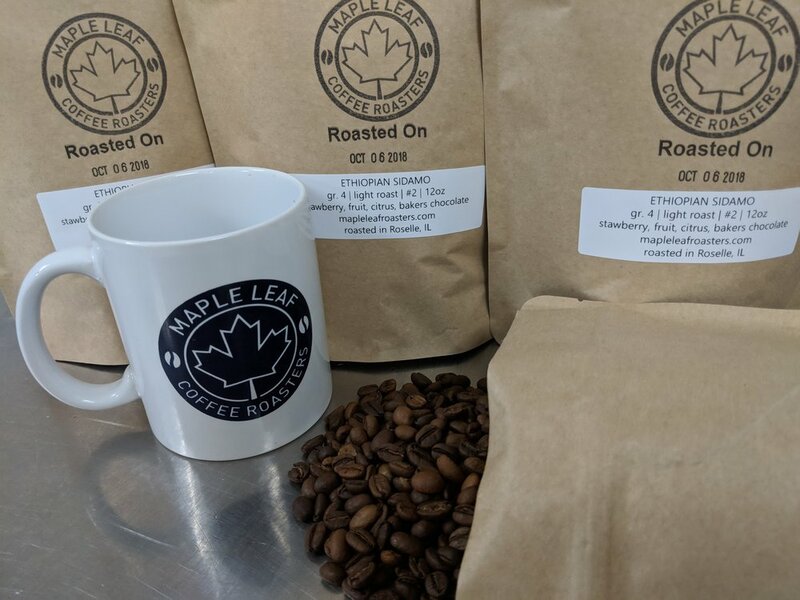 This coffee is the first non-Costa Rican coffee to show up in our rotating medium roast spot and we think it offers an exciting array of flavors. We roasted this similarly to how we have roasted our Costa Rican coffees. This coffee has a variety of subtle flavors found in some coffees we have previously had in store. The first taste you will notice is a gentle floral note, similar to some of the Ethiopian coffee we have had. It also brings subtle spice notes, similar to the Indian Mysore coffee, along with some very distant caramel and nutty notes if you go looking for them. This coffee is available now in our physical store or any time via our online store. 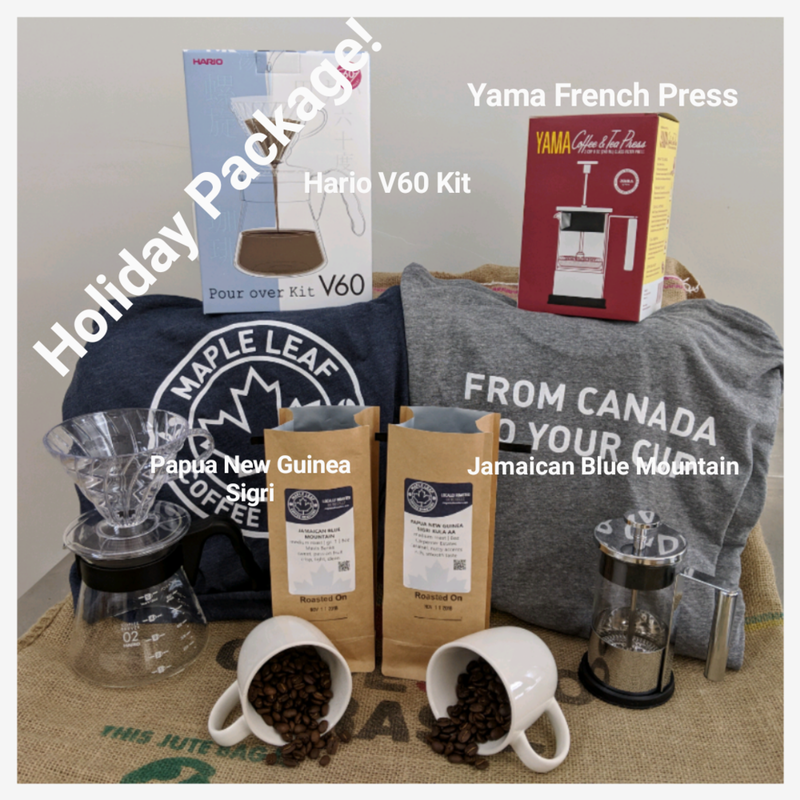 We have two special limited edition coffees for our 2018 holiday season along with some exciting new coffee brewing kit for sale. We brought in a limited quantity of a Jamaican Blue Mountain and Papua New Guinea Sigri coffee to offer as part of our package. Jamaican Blue Mountain (JBM) coffees are a sought after, super flavorful variety of coffee which is rivaled only by Kona coffees for their distinctiveness. This particular JBM is a medium roast which brings out a touch of sweetness and a ton of passion fruit flavors. This is a light, crisp, easy to drink coffee which will do really well without cream or sugar. This is the first Papua New Guinea (PPG) coffee we have brought in. PPG coffees are widely known for their rich, nutty flavors and this coffee is no exception. We roasted this to a bit beyond a medium roast to get the best flavor. In this PPG you’ll see some strong nutty accents paired with a pleasant caramel note backed by a full, rich taste. As part of our holiday package, we are offering two new products for sale as part of the pack. Choose from either a Hario V60 Pour Over kit or Yama two cup French Press. Pick up an 8oz bag of each limited coffee plus any 12oz bag of our regular coffees for $50 (available online here) or throw in the Hario Pour Over, Yama French Press or a T-Shirt for $65 (available online here). These packages are available starting today in store or online. We are re-introducing a light roast coffee in place of our El Salvador Bella Vista. This coffee is out of the Sidamo region of Ethiopia and is a favorite of ours for its strong fruit and berry flavors. This is a natural processed coffee which means that the beans will be slightly varied in appearance and in taste. We roasted this coffee to a light point to try to bring out some of the fruity notes. The flavor is a fruity blast with strawberry hints of bakers chocolate along with a slight citrusy tang. This coffee is available as of October 11th in our physical store or any time via our online store.